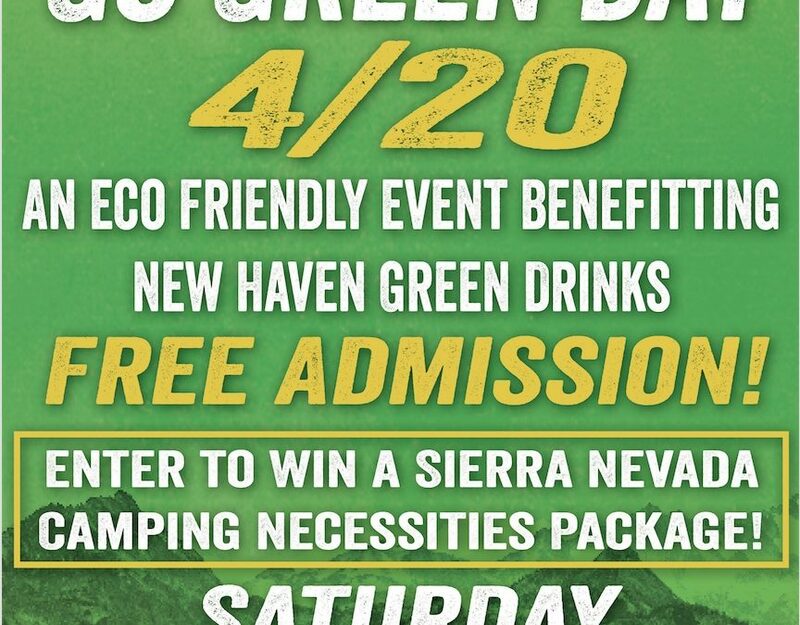 An eco-friendly event benefiting the local charity, New Haven Green Drinks. 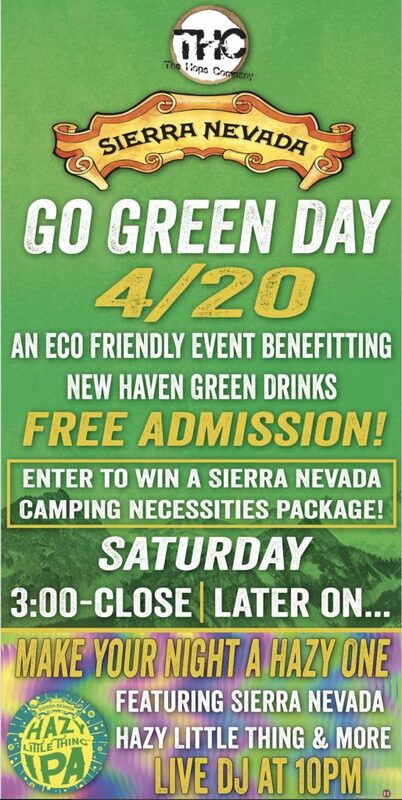 Specialty beers, pitchers, drink and shot specials, giveaways, and a chance to enter to win a Sierra Nevada camping necessities package! This is an event you won’t want to miss. Saturday 3:00 – Close. | Later on… Make your night a hazy one featuring Sierra Nevada Hazy Little Thing & More. Live Music.